Are you an AMD Ryzen CPU user? or Are you a World of Warcraft Gamer & Ryzen CPU user? Then this is the best news for the day for you people as AMD Ryzen gets up to 35% performance increase after the latest patch update by World of Warcraft (WoW). We all know World of Warcraft is one of the best game in the world & most importantly a successful Massively multiplayer online (MMO). But there was a limitation or we can say biggest limitation for all the gamers was regarding its CPU utilization & Hardware issues. If you been to world of warcraft players then you can relate what we are talking about as game always suffered from a lack of multi-threaded support & it was somehow frustrated for some of users! 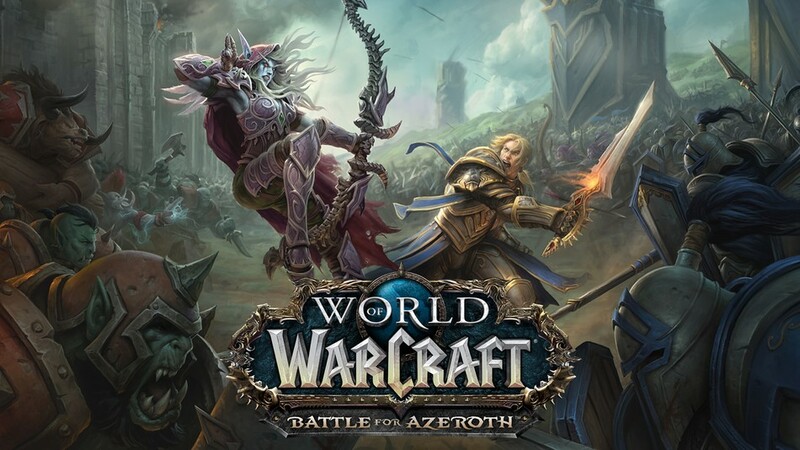 But in the recent update by World of Warcraft i.e Battle for Azeroth, The gamers have seen some improvement across an array of hardware & more than four cores. The Latest Patch 8.1 named “Tides of Vengeance” has considerably enhanced functionality for those gaming at 1080p, especially on Ryzen processors. AMD reports that you are able to see anywhere up to a 35% improvement in frame rates at 1080p at lvl10 picture quality settings, when utilizing DX12 from the latest patch. Pre-patch, AMD recorded an average frame rate of 43.2 fps with a Ryzen 5 2500X, and 42.7 fps with the Ryzen 7 2700X, these figures rising up to 58.1 fps, and 58.2 fps respectively following the patch. The evaluation system included 16GB of DDR4 3200 MT/s, a GeForce GTX 1080, and a Samsung 850 Evo SSD, all running off of a Windows 10 x64 little install. So excited about this Patch update as Increase in 35% performance will enrich your gaming experience in a different way. All the best for Battle of Azeroth!